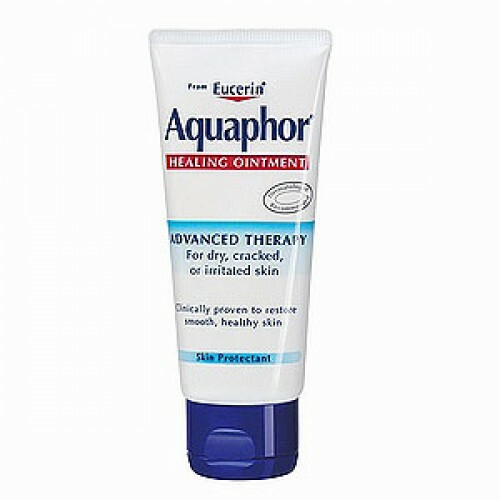 Aquaphor Ointment Cream, Eucerin Advanced Therapy Cream BUY Aquaphor Ointment, 63608, 45231. The Aquaphor Eucerin Advanced Therapy Cream provides protection for a variety of skin conditions. Aquaphor lotion is perfect for treating cracked, dry or irritated skin and is often used to protect skin from wind and cold weather. 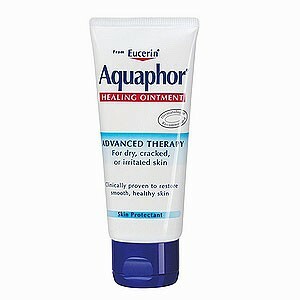 Additionally, Aquaphor Eucerin ointment can be used to protect minor scrapes, cuts and burns. Can you use on the face under the eyes? We cannot make recommendations on how to use the product. We recommend contacting the manufacturer for a more specific list of usages. I use it daily...very good.